Happy Valentine's day to all those lovey dovies out there. 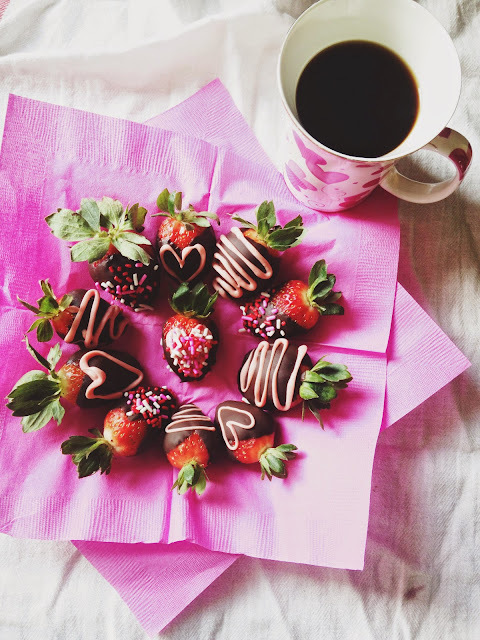 Today is a laid back kind of Valentine's day. I am working today, and I am just going to hang out when I get home from work. 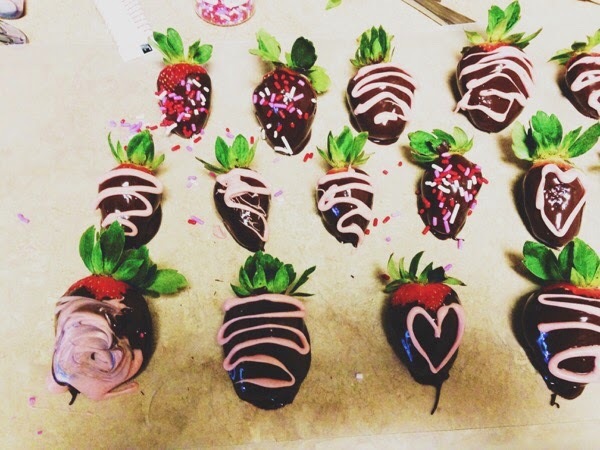 I did my Valentine's Day festivities yesterday, and I wanted to share the simple way I celebrated Valentines Day. Since I don't have the time or budget for larger festivities, I stuck to simple things, simple things I love. 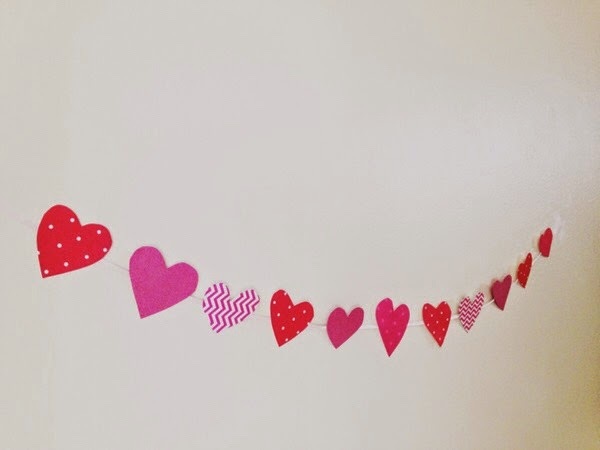 I had a vision of a cute, Valentine's garland. 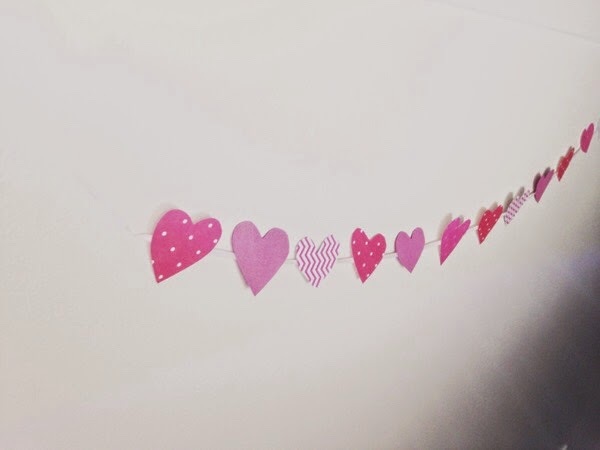 I cut up some hearts out of pink and red and patterned paper, and taped them to a ribbon. 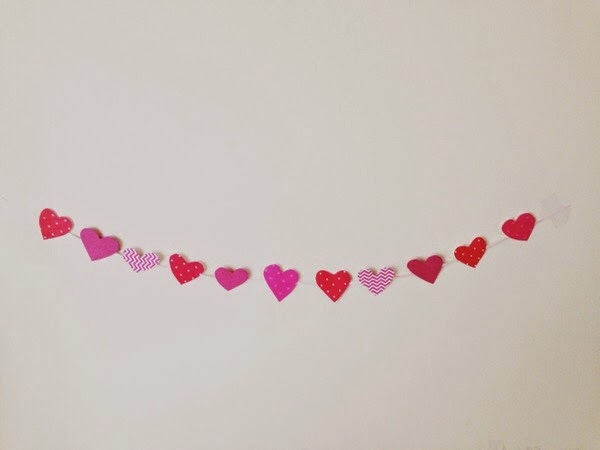 It turned out to be a really cute garland, and a simple Valentine's Day craft. 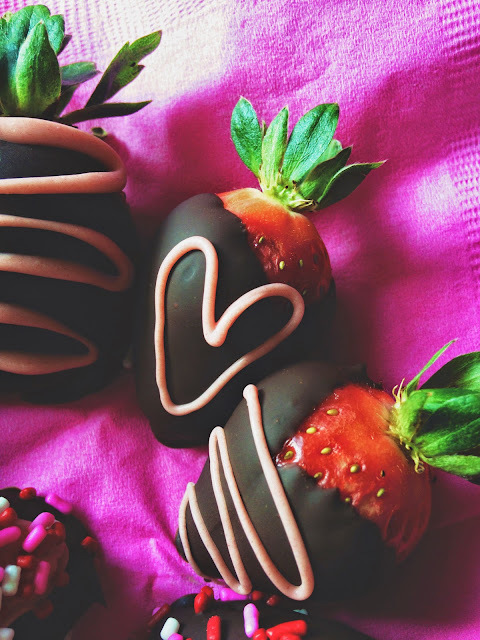 You can make this as a decorationfor Valentine's Day, or for a Valentine's Day party. It turned iut exactly as I envisioned it. After work this evening, I went to grab a Starbucks to be my Valentine's date. I grabbed my usual, and savored it with a steak dinner my dad made for my mom and I. Maybe next year, I will get to go on a real Valentine's Day date. 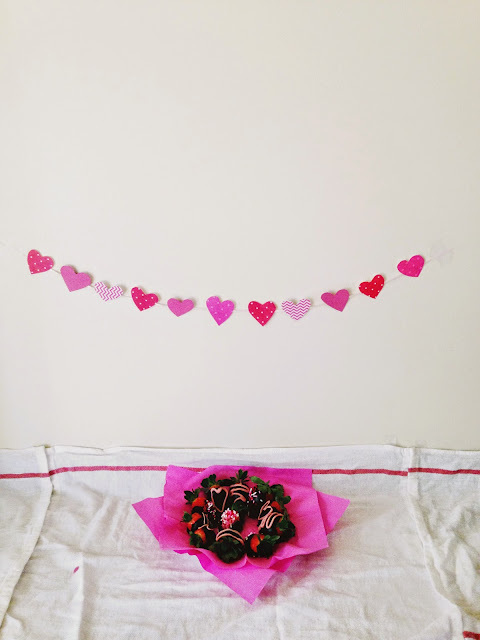 I never was really a fan of Valentine's Day, but it exists, and why not make the most of it? 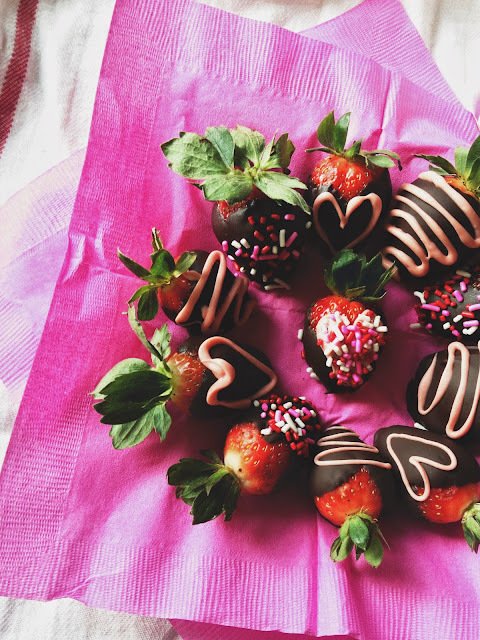 Of course, love should be everyday, but sometimes Valentine's day can bring out a little more love. 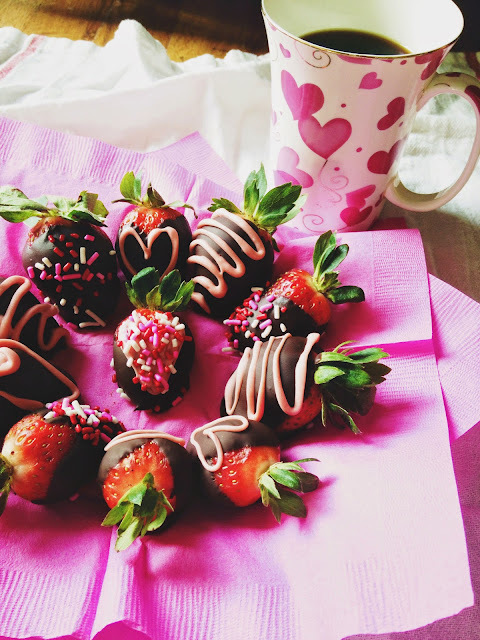 I think it was a great Valentine's day, and I hope you all are feeling the love.